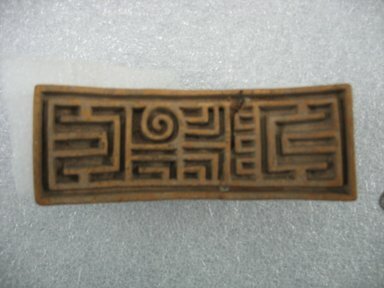 Curved rectangular stamp with incised geometrical designs and a trapezoidal handle on the back. Used for transferring designs. Condition: good; slightly chipped and a repaired break.